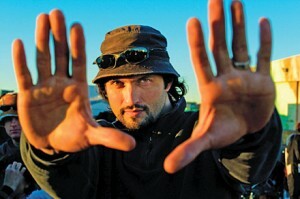 Robert Rodriguez Shed Some Light on ‘Sin City 2’ and the ‘Machete’ Sequel at SXSW 2012!!! Austin native Robert Rodriguez gave a little bit of info on some of his much anticipated sequels to some of his cult hits at SXSW thisyear. He talked about his production company Quickdraw Productions, getting into the animated field with a couple of projects on the schedule as well as the long awaited ‘Sin City’ sequel and ‘Machete’ sequel. Rodriguez talked about his Quickdraw productions animation realm where he is doing a ‘Heavy Metal’ remake and a family oriented film animated style. No word on the family oriented film yet, but the ‘Heavy Metal’ remake could be great with him being a part of it. Can’t wait for the soundtrack. Robert said the script was finished and that the storyboard process has begun. Hopefully in the coming months, we will hear about casting and a music news. Rodriguez also said that the long awaited ‘Sin City 2’ and ‘Machete’ seuqel entitled ‘Machete Kills’ will both start production this year. ‘Machete Kills’ will start shooting in April and will follow our hero Machete is tasked with taking down a madman cartel leader and an eccentric billionaire arms dealer who has hatched a plan to spread war across the planet with a weapon in space. I’m sure this will be just as great as the first film. Then there is the project of ‘Sin City 2’ which will begin shooting this summer and will feature three of the stories from the ‘Sin City’ series including ‘A Dame To Kill For’. It’s been a long time since ‘Sin City 1’ and with the talent involved in the sequel, I think it will be worth the long wait. Rodriguez did say that both ‘Sin City 2’ and ‘Machete Kills’ “will be of the same caliber and eclecticism as the first films.” I hope this means that means a great bunch of actors and the same amount of violence and humor. This entry was posted on Wednesday, March 14th, 2012 at 12:29 pm	and is filed under Events, Film, News. You can follow any responses to this entry through the RSS 2.0 feed. You can skip to the end and leave a response. Pinging is currently not allowed. « Looks Like We Will Have To Wait Longer For The ’24’ Movie!! !